The Swedish Board of Student Finance (CSN) approves student finance and the home equipment loan for refugees. Student finance (studiestöd) is money you can receive to help you pursue your studies. What studies qualify for student finance? What qualifies you to receive student finance? What will happen to student finance after Brexit? Pay to Bankgiro number 5580-3084. If you have received a demand for non-entitled student finance, pay to Bankgiro number 5175-4158. If you pay online to one of our Bankgiro numbers, you must enter the OCR number on your repayment forms from CSN. The OCR number can also be found in Mina sidor under Mina betalningar, on the page Vad ska jag betala under året? If you cannot find the OCR number, you can instead write your personal identity number without a hyphen (ten numbers in a row). Post the form to CSN, but please note that it is up to your bank whether you can pay by direct debit. Both CSN and the bank must send a confirmation to you before direct debit can start working. You cannot pay a demand for non-entitled financial aid for studies by direct debit. In Mina sidor under Min profil, you can choose whether you want to receive correspondence electronically or on paper. If you pay by direct debit, you can receive both your repayment plan and your annual statement electronically. By choosing electronic correspondence, you help protect the environment. If you wish to cancel your direct debit, you must contact your bank or send a written request by post to CSN (you cannot use e-mail). If you want to change bank or account number, you must contact your current bank. If you change banks and want to keep using electronic invoices, you must sign up for the service again in your new internet bank. This means that you do not have to cancel the service in your previous internet bank. If you want to use electronic invoice for your repayments to CSN, you can sign up for this on your internet bank. We will then send your invoice directly to your internet bank. You will only need to log on to your internet bank, review the invoice and confirm it to pay it. You just need to sign up once, even if you have more than one loan. After your electronic invoice request has been approved, you will receive an e-mail and a message in Mina meddelanden in Mina sidor (only in Swedish). You will also receive a new repayment plan. When you pay by electronic invoice, you will receive your payment plans electronically to Mina meddelanden. Every time a new repayment plan is available in Mina meddelanden, we will e-mail you. If you are using direct debit, you must first cancel this before you can connect to the electronic invoice service. You can only repay your own loans and demands for non-entitled financial aid via the electronic invoice service. The e-mail address you use when you sign up for electronic invoice will be the e-mail address we will use to contact you when we send new information to Mina meddelanden in Mina sidor. If this e-mail address is different from the one already registered in Mina sidor, we will update your Mina sidor page with the new address. If you have registered payments for the coming months in your internet bank, you need to unregister them. Otherwise you could accidentally make double payments to CSN. You can see if your bank supports electronic invoice on Bankgirot (English). If you no longer wish to use electronic invoices for your payments, you can cancel this service on your internet bank. You will then receive your payment form by post instead. How much do you have to repay? Haven't you paid on time? Are you having trouble repaying? Are you planning to study again? When can your loan be cancelled? How do you appeal against a decision? If you are unemployed and fulfil certain conditions you can borrow money from CSN for the purpose of obtaining a category B driving licence. With a driving licence, you may find it easier to get a job. Here is some information about how you qualify to borrow money for home equipment. You must be covered by a municipal refugee reception programme. You are covered if you or a close relative have a residence permit for refugee-oriented reasons. No more than two years can have passed since you first were received by a municipality. You must be age 18 or older. If you are married or cohabiting with someone who is also entitled to the home equipment loan, you must apply for a joint loan. You must do so even if your husband, wife or partner comes to Sweden later and you need to apply for a supplementary loan. You both need to repay the joint loan. If you have already taken a home equipment loan, you can apply for a supplementary loan. a close relative moves in with you who is also covered by the municipal refugee reception programme. The relative may be your husband, wife, common law spouse or child under the age of 21. If you are married or cohabiting, you will receive a joint loan. In other words, you are both obligated to repay your loan to CSN. You must apply for the supplementary loan within two years of when you were initially received by the municipality. How do you apply for a home equipment loan? How do you get the money? As a refugee in Sweden, you may be entitled to student finance and a home equipment loan. Student finance consists of grants and loans for studies. The home equipment loan is a loan which allows you to buy furniture and kitchenware for your home. Who has the right to Swedish student finance? 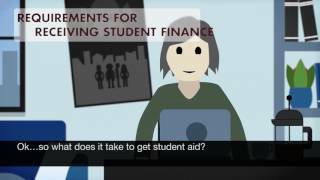 There are several circumstances that can entitle you to Swedish student finance. Persons seeking asylum are usually not entitled to student finance. If the Swedish Migration Agency has assessed that you are a refugee or a person in need of protection and granted you a residence permit. If the Swedish Migration Agency has granted you a residence permit due to particularly distressing circumstances. The residence permit must be valid. It makes no difference whether the permit is temporary or permanent. You may also be granted the right to Swedish student finance if the Swedish Migration Agency has given you a residence permit that is limited in time or granted under the Act on Temporary Limits to the Possibility of Receiving Residency Permits in Sweden. If your residence permit is no longer valid, you may nonetheless have the right to student finance if you applied for a new residence permit before the last permit expired. It is then also required that your new application is for the same kind of permit as the last one, or a new permit with support of one of the provisions in the Act on Temporary Limits to the Possibility of Receiving Residency Permits in Sweden. CSN will evaluate your right to Swedish student finance and will also check whether you meet other requirements for student finance, for example, that the educational program entitles you to student finance. Student finance can consist of grants and loans. A grant is money that you are given, while a loan must be paid back. Which grants and loans you can receive depends on what you will study and how old you are. What is a home equipment loan? Those who have arrived in Sweden as refugees and are covered by the refugee reception programme or the Establishment Ordinance can borrow money from CSN to purchase articles for their home, such as furniture and kitchenware. This is called a home equipment loan. At the web portal Information om Sverige (Information about Sweden) you can read more about Sweden and Swedish society. It provides comprehensive information about how Swedish society works and what rights you have. The County Administrative Boards in Sweden are responsible for the web portal. CSN (the Swedish Board of Student Finance ) is the Swedish Government authority that approves student finance, both grants and loans, to students in Sweden and abroad. CSN also handles the repayment of the loans. Almost 900,000 students apply for student finance every year, of which 30,000 are studying outside of Sweden. There are two different kinds of student finance for studies abroad – study allowance and student grants and loans. Students younger than 20 years attending courses equal to upper secondary level may be entitled to study allowance, which is a grant that does not have to be paid back. Read more about study allowance. Student grants and loans include both grants and loans and are given to students attending post-secondary courses, normally at college or university. It can also be given to students older than 20 years taking courses equal to upper secondary level. In order for a student to be eligible for student grants and loans, there are a number of requirements to be met by both the education and the student. How much student grants and loans can a student receive? Student grants and loans consist of grants and loans and are calculated per week. Students may also apply for loans for additional expenses, such as travel costs, personal insurance and tuition fees. How much money can a student receive? Student grants and loans are normally paid out monthly in advance, usually for four weeks per payment. In certain cases, we can make a payment for a whole semester at once. Loans for travel costs and insurance are paid out three weeks before the start of the semester. Loans for tuition fee may also be paid out three weeks before the start of the semester, if the school requires the fee to be paid then. All students must apply for student aid through our service Mina sidor (My pages). Applications may be submitted at any time during the year, but we give the student a maximum of four weeks retroactively if we receive the application after start of studies. We may grant an application for a maximum of one year of studies at a time. The student must also attach certain documents. If something happens which causes a change in the study period, students should contact CSN as soon as possible. This includes dropouts, revised curriculum, illness or other circumstances that affect the studies. We would also be grateful if you could contact us at ebrev@csn.se if a Swedish student either does not start a course or drops out. CSN does not require Swedish students to return to Sweden after their studies abroad, but students who take out loans must repay them. This also applies to students who settle down abroad after finishing their studies. While studying with student aid, students do not make repayments. The repayment time is at most 25 years. Those who have trouble repaying can apply to have the amount reduced. Phone number +46 771 276 000 weekdays between 8 am and 4.30 pm. The information on the English web sites is only of a general nature. If you wish to know more, please contact us at CSN.